Color: Maroon Red Black. Size: 3.5Y US / 3 UK / 35.5 EUR / 22.5cm. Maillot de foot ! Equipe de France 2018, avec 2 étoiles NEUF ! Taille M.
Equipe de France 2018 ! Neuf avec 2 étoiles ! Longueur de douille (cm): Court. Nike Gardien Neon Goalkeeper Jersey Size Large BNWOT. Brand New Without Tags Nike Goalkeeper Gardien Goalkeeper Jersey Size Large Took tags off thinking i was going to wear it and never did! my loss is your gain! Shipped with USPS First Class Package. Le kit comprend Style: Actif. Type: Softball. - Easy to install, promotes your kids manipulative ability. We do not accept any responsibility or liability for misuse of this or any other product. All our products are extensively tested to comply with rigorous and strict QC standards. 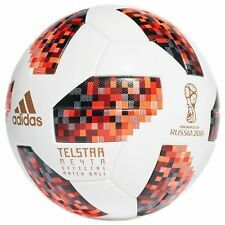 NEW ADIDAS UEFA CHAMPIONS LEAGUE OFFICIAL SOCCER MATCH BALL - 2018/2019:-. Ball Passed FIFA Tests On Circumference, Weight, Rebound And Water Absorption. 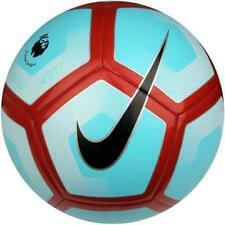 High-Quality Materials In Cover, Back And Bladder For State-Of-The-Art Match Ball Performance. Multi-Skill solo soccer trainer. Hands-free trainer 6" kinetic cord stretches to over 18" Neoprene waistband with velcro strap and clip fits most athletes. Stretch your soccer training to the limit without chasing the ball. Adidas X 18 Spectral Mode Triple White. Condition is New with box. Shipped with USPS Priority Mail. 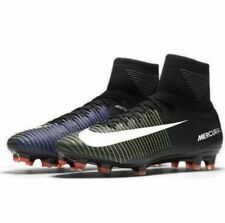 Men’s size 9 At the highest levels of soccer the fastest professional players average ball contact is only 9 seconds within 90 minutes. 9 seconds! Each dribble only a fraction of a second as they streak towards goal. To compete, you not only have to think fast, you have to do everything you can to unleash your speed, and Adidas has got you covered. The all-white spectral mode X 18 is ready to give you the feeling of track spikes on firm-ground. Designed with a patented speedweave upper and seamless claw collar, the laceless X 18 only knows how to move at top speed providing you with a comfortable lightweight fit as your open your stride and sprint. (3) Cover with badge with thin tea towel/cloth. 5) Pressure: Very firm. Pour appliquer un patch thermocollant. Il est très simple d’appliquer un patch thermocollant, à l’aide d’un fer à repasser. Posez le tissu sur lequel vous désirez appliquer le patch sur une surface plane et dure (la table à repasser sera très bien !). Soccer is among the most popular sports on the planet. 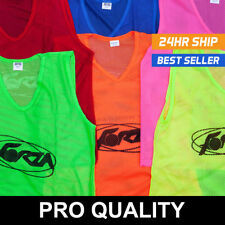 Whether you play professionally or casually, youll have to purchase the correct equipment. The right gear will make you play well, and it also makes the game enjoyable. 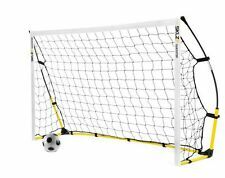 What soccer equipment do you need? 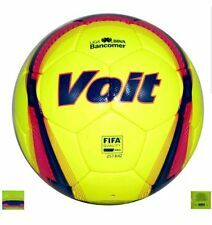 Soccer ball: Perhaps the most important piece of equipment is a soccer ball, which is available from many manufacturers, including Nike and Adidas. Soccer shoes: The shoe you select will be determined by the kind of football field you play on and your playing position. Soccer shorts and T-shirt: These should be made of lightweight materials. The shorts should have strong tying strings so they can hold firmly. 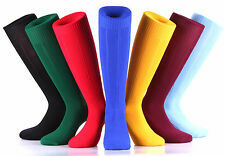 Socks: These need to be breathable and comfortable, so you dont get distracted as you play. They need to be long enough to cover your shin guards and complete your style. Water bottle: Getting dehydrated can negatively affect your game. Make sure you have a water bottle, and take every free moment to rehydrate. Soccer bag: Your soccer bag should accommodate your playing gear, warm-up suit, water bottle, and sandals. What materials are used to make soccer cleats? Kangaroo leather: This is the softest, most comfortable, and highest-quality leather on the market. Calfskin leather: Shoes made with this material are the most durable, although not as comfortable as those made from kangaroo leather. Some manufacturers treat calfskin leather to make it softer and water-resistant. Synthetic leather: This material is water-resistant and most commonly used by beginner and intermediate soccer players. Premium synthetic leather: This is better quality than synthetic leather and is also water-resistant. How do you choose between the various cleat-outsole options? Firm Ground (FG): These can be used on almost all natural surfaces. Professional players dont use shoes with FG outsoles. Soft Ground (SG): If playing on a wet or soft football field, you should go for shoes with SG outsoles. Hard Ground (HG): These are meant to be used on artificial surfaces, frozen ground, or any sports pitch thats been hardened by the suns heat. How do you choose socks for soccer? A thick pair is advisable if youre playing or training in cold weather. If playing or training in hot areas, you should go for a thinner pair. They should be designed with sweat-wicking technology. Manufacturers use different methods to achieve sweat control. They should always go over your calf. They should be designed with mesh ventilation, ribbed ankle support, and Achilles cushioning for extra comfort.